Almonds: Why they are not only good for your veins, but your entire body. Almonds are one of the most popular foods in the world. Many cultures use them in a multitude of dishes, and many of us enjoy them as a healthy snack. Almonds contain essential nutrients such as manganese, vitamin E, magnesium, zinc, calcium, tryptophan (essential amino acid), iron, copper, vitamin B2 and phosphorus. The are rich in monounsaturated fat, which is necessary for human body function- they have also been shown to help lower LDL cholesterol by as much as 9.4 percent. So, why are they good for your veins? Almonds have been known to reduce the risk of heart diseases, and the vitamin E in almonds is a fat-soluble antioxidant, making it good for the skin and overall immune system. Magnesium in almonds is great for vein and artery health. This is essential to help preventing varicose and spider veins. The calcium and phosphorus promote healthy blood circulation throughout the body. Having healthy blood circulation throughout the body drastically reduces your chances of developing varicose veins. Another benefit of almonds is that they help facilitate food through the colon- this helps relieve constipation, which will help lessen the pressure on the venous system, reducing the risk of varicose veins. Overall, almonds are incredibly healthy for you! 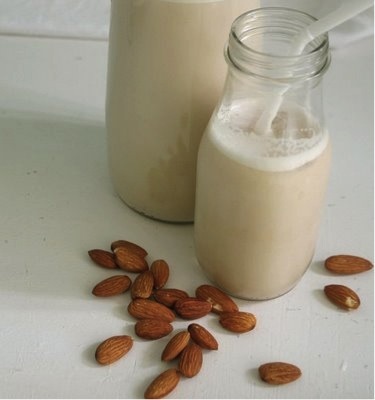 One easy way to incorporate almonds into your diet is to substitute almond milk for dairy milk. Soak the almonds overnight or for at least 6 hours. Strain the blended almond mixture using cheesecloth or other strainer. Homemade raw almond milk will keep will in the refrigerator for three or four days. Comfort food and winter… sometimes it seems as if they go hand in hand! But, did you know that gaining extra weight could be very detrimental to your overall vein health? Extra weight adds stress on your veins and can cause blood flow disruptions, which can then lead to varicose veins. Maintaining a healthy diet keeps your body full of the vitamins and minerals it needs to keep a healthy vein system operating at peak performance in the human body. Here are some food choices that you can add to your diet that will not only keep you healthier, but improve your overall health as well. 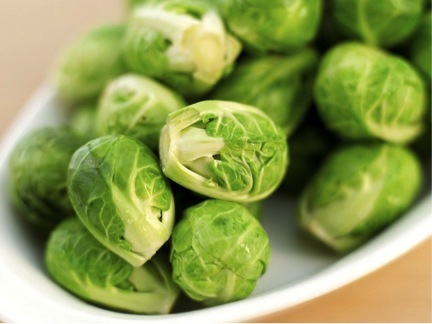 Make cancer-preventive Brussels sprouts taste good by taking off the outer leaves and roasting them on a baking sheet with some olive oil and sea salt at 425 degrees. Leeks taste much like mild onions and work well in potato soup, in rice dishes, salads and other dishes that require onions. They are tasty and full of antioxidants. Bake vitamin-rich beets by wrapping them in foil and baking them in a 350-degree oven for an hour. Cut into small cubes and put them in a green salad with some goat cheese and a drizzle of walnut oil. Kale is full of iron but can at times taste very bitter. Sauté kale in some olive oil, garlic and balsamic vinegar and throw in some pine nuts to have as a side dish… it’s delicious! Inflammation-reducing pomegranate has a tart flavor, which makes it good for mixing in with oatmeal in the morning. You can also use the gelatinous seeds, which have a crunch and large amounts of flavor in salads, or even atop some dips. Kiwi is very high in vitamin C, which can increase immunity to several different illnesses. Mix some kiwifruit into a spinach salad to combine immune-boosting fruits and vegetables in one dish. Persimmons contain substances that fix damage to cells caused by diabetes. Serve the miniature orange-like fruit with a bitter citrus flavor in a dish with some prosciutto and fresh mozzarella cheese. Guava is filed with the antioxidant lycopene, which could protect against coronary artery disease. Add raw guava to figs and blue cheese for a heart-healthy dish suitable for a snack or breakfast. Use pomelos as a dessert additive for sorbet or frozen yogurt. This fruit is suspected to prevent the spread of cancer cells because of its high density of antioxidants called flavonoids. Indulge in health-promoting fruits and vegetables all year round, but especially during the wintertime. Not only will they help the body stay well, but they also promote mental wellness with their fresh flavors. Many healthy fruits and vegetables have strong flavors. It is possible to combine them with other flavors to make them more delicious and have the family wanting more! What Is The Treatment Process For Botox? Botox can seem a little intimidating if you don’t know what the actual procedure entails. Here’s some basic information about how easy the procedure and recovery can be! Schedule a consultation to determine whether you are a candidate for Botox. You will then be asked about your goals to determine where to administer Botox- to do this, you will be asked to move certain facial muscles in your brow area. The location, size and use of the muscles that create furrow beneath your brows can vary among individuals. This is the time to ask any questions you may have about expectations or how long results typically last. It is also important to discuss goals and tailor a plan for what you would like to achieve. 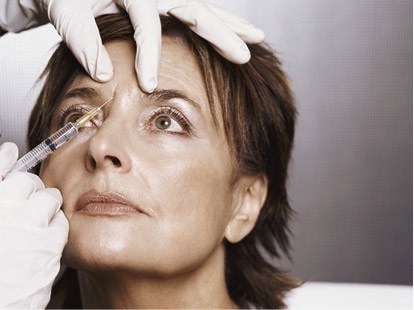 Administering Botox does not require anesthesia. However, if you are uncomfortable, you may have an area numbed with a cold pack or anesthetic cream. Discomfort is usually minimal and brief. You will receive a few tiny injections of Botox directly into the muscles that cause moderate to severe frown lines between the brows. The entire treatment lasts approximately 10 minutes. No downtime is needed- you’re ready to get on with your day after! Your skincare expert will give you specific aftercare instructions. Side effects associated with the injection include localized pain, infection, inflammation, tenderness, swelling, redness- should they become extremely troublesome, contact a professional (though this is usually not expected). Overall, Botox is a quick procedure with minimal discomfort and downtime! Results that can last from six months to a year which include improved fine lines and softened wrinkles on the face. We know you’ll love your results! To schedule an appointment with Joelle, please call (775) 329-3100. This time of year we are staying inside more, bundling up and enjoying as much warm sunshine as the weather allows. During winter, we become more and more detached from an active life due to cold weather, this lack of exercise can contribute to various health problems, including varicose veins. As we know, varicose veins occur when the veins in our legs become dilated, thereby partially losing their ability to channel blood back to the heart. Doctors state that varicose veins most often occur in the winter, which is also the best time to have them treated. Many times after treatment, compression stockings are recommended to be worn- when it’s cooler outside, longer pants and skirts can hide the stockings. It is important that you do not go out and purchase compression stockings to treat yourself before consulting a doctor first, this can lead to complications and may not worse symptoms. If you are embarrassed about how your legs look, it is best to schedule an appointment with your doctor to determine the best course of action for your treatment. While it is possible to treat varicose veins with surgery, non-surgical treatments are also available to deal with the physical appearance of abnormal veins. It is important that competent doctors be handling the proper, modern medical equipment in the course of treatment. Try to avoid constant weight fluctuations. Avoid wearing very tight clothing or high-heeled shoes. Do not stand for extended periods of time. Exercise regularly. Walk at a fast pace, swim, jog or do Pilates three to four times a week for 30 to 45 minutes. Abstain from tough sports such as weightlifting. Elevate your legs for 15 minutes every evening. This will relieve existing pain and slow down the progress of varicose veins by decreasing venous insufficiency. However, for some, varicose veins are unavoidable… as they are a genetic problem. Varicose veins are generally inherited, but an inconsistent lifestyle in terms of nutrition and exercise can also contribute to varicose vein conditions. “Varicose veins are usually seen in people with a family history of varicose veins. Women whose mothers have varicose veins are especially at serious risk, says Reno Vein Clinic physician, Dr. Robert Merchant. Some genetic factors include: A family history of varicose veins, pregnancy, being overweight and old age. Varicose veins’ effects on one’s health are worse than their appearance. Since the abnormal appearance of these veins is usually ignored or not noticed until they become quite bad, the treatment is generally stalled, but early diagnosis is very important. Swollen, twisted and visible veins on the legs, achy or itchy legs, and feeling heat or cramps, especially at night can be significant warnings that you should get your veins treated. If you have questions or are looking for more information about varicose vein treatments, call us (775) 329-3100. Winter can be the bane of our skin’s existence. We often struggle with cold weather, wind chaffing, and dry skin. While some of us just accept these changes as typical signs of winter, you don’t have to be one of the sufferers! 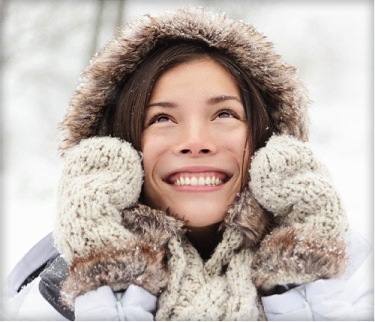 We have tips on how to keep your skin soft, moisturized and hydrated during the winter months. Extra-dry skin like on dry upper arms can trigger a flare-up of keratosis pilaris, that annoying rough skin. Try a lotion with salicylic acid to exfoliate dead cells around your hair follicles and reduce the appearance of bumps. To prevent chapping parched hands, embrace wipe-off, soap-free cleansers and alcohol-free hand sanitizers. Experts say that they are less drying than washing repeatedly with soap and water. When you do wash, choose a moisturizing soap-free cleanser or a hydrating antibacterial gel, then slather on lotion right away. Anything that creates an occlusive barrier (i.e., traps moisture) on skin helps lotions and creams soak in. So slip on some cotton gloves over lotion to help moisturize parched hands. Even wearing them for an hour can really soften up your skin. To soften stubborn dry patches on rough elbows and knees, opt for a rich, hydrating scrub. A simple mix of honey and sugar works great! Pick super-gentle exfoliators if trying to moisturize your chest and back. We like tiny rounded polyethylene microbeads, this will help brighten dull winter skin on your face and body. Before bedtime, gently buff away calluses with a hydrating scrub or pumice stone, and apply a thick, buttery moisturizer while feet are still damp, then wear socks overnight.